Method Lab | Choreo-Graphic Figures. Choreo-graphic Figures: Deviations from the Line develops an innovative, experimental methodology based on a collaborative research practice, privileging the generation of interdisciplinary and inter-subjective forms of knowledge between drawing, choreography and writing. The methodology is exclusively based on a practice-as-research approach exploring epistemology as a ‘choreo-graphic’ figure woven through with the ‘practice of theory’. The key methodological framework for Choreo-graphic Figures: Deviations from the Line is the ‘Method Laboratory’ – a dedicated allocation of space/time during which the key researchers and invited guests will come together geographically in one place to practice thinking-moving relationally; to discuss and develop both singular and sharable forms of practice-as-research. The ‘Method Labs’ are conceived as ‘relational environments’ for thinking in-and-with practice, a ‘making space’ or the making of space (and time, mental and actual) dedicated to the process of exploration and experimentation. Dialogic exchange is a fundamental part of the method lab, for exploring points of connectivity (a shared lexicon and philosophy) in relation to the research project questions, and for sharing the process and technics (technologies, techniques, tactics) of enquiry rather than for the production of resolved works or definitive outcomes. 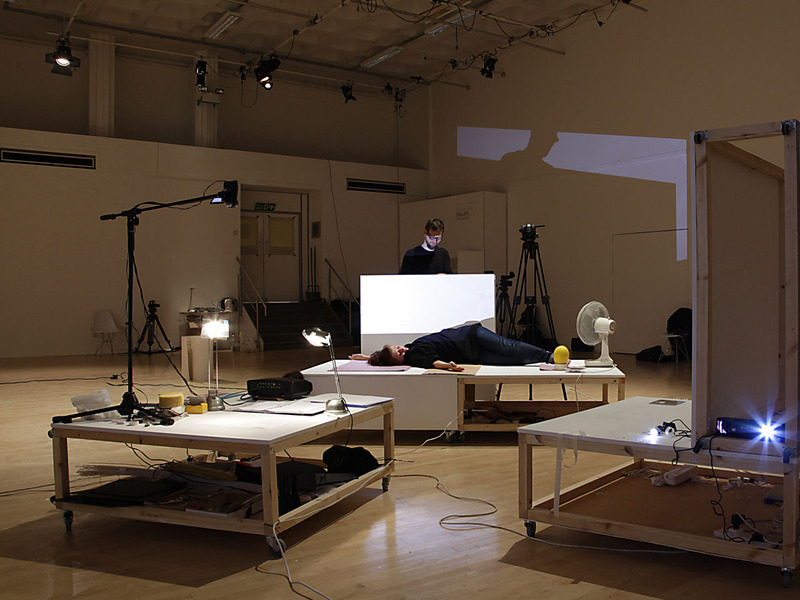 A hybrid of studio and rehearsal room, research residency and retreat, the method lab plays a key part in the project Choreo-graphic Figures: Deviations from the Line by making visible the decision-making processes, the unfolding of labour, the durational ‘taking place’ of ‘thinking-making’ within practice as it happens (live). 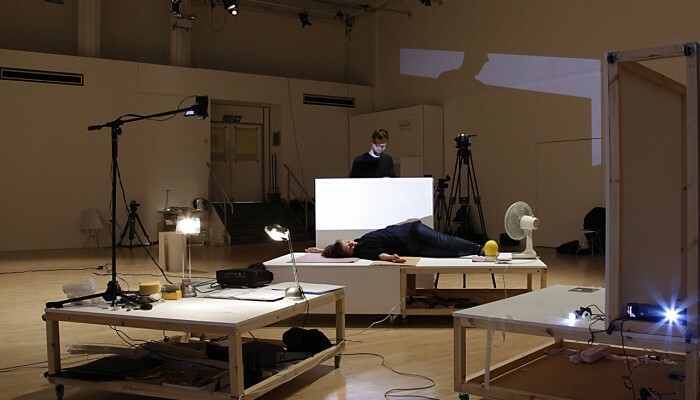 The method lab is a working context for exploring the nature of ‘thinking-in-action’ or the ‘figures of thought’ produced as the practices of drawing, choreography and writing enter into dialogue, overlap and collide. Development of new choreo-graphic figures (figures of thought, figures of speech, figures of movement) for articulating the specificity of this artistic enquiry. 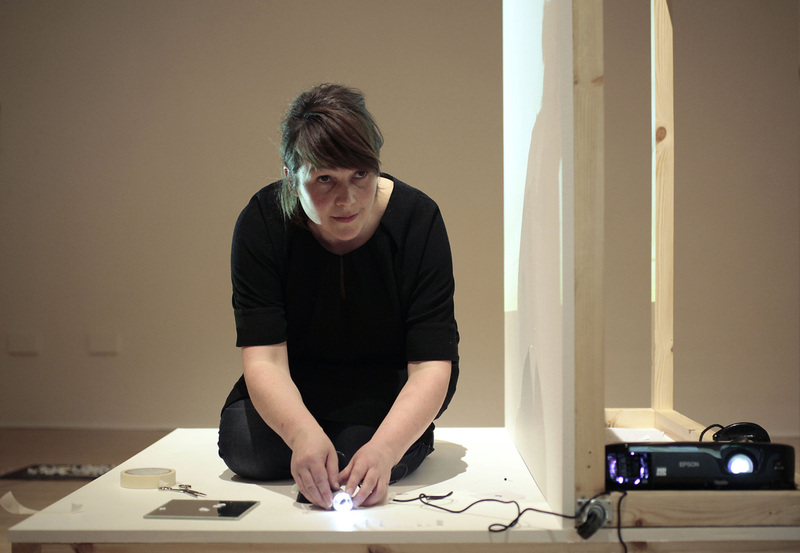 Three annual intensive ‘Method Labs’ have been scheduled, creating innovative working conditions for the project’s collaborative research, where new ideas, tools and methods will be conceived, developed, tested and documented through bespoke notational practice. Method Lab I focuses on the sharing of practice and working methods between the key researchers, in order that set disciplinary ways of operating might gradually become undisciplined, unlearnt, undone, reversed, upturned by experimenting ‘between the lines’ of drawing, choreography, and writing. This phase is generative: the intent is towards experimental production, performed in subjunctive key of ‘what if’. Rather than asking: “What is drawing, what is choreography, what is writing?” this research asks ‘what if’ these definitions are stretched? How elastic can these terms be made? What if line becomes movement or sound; what if language is danced; what if words are drawn rather than written? 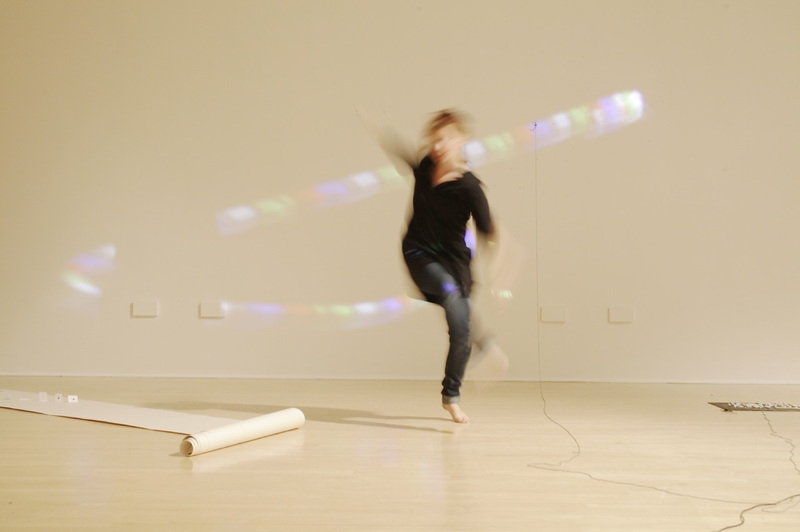 Method Lab I seeks to challenge disciplinary demarcations between drawing, choreography and writing, by performing a ‘line of flight’ or movement towards the critical condition of ‘unbelonging’. Building on the first year of their research project, the next phase of the Choreo-graphic Figures project explores expanded notation through two inter-related concepts: figuring & (choreo-graphic) figure. Figuring – a state of emergence or experiential shift, the barely perceptible movements and transitions at the cusp of awareness within the process of “sense-making”. What different systems of notation can be developed for cultivating awareness of and for marking and identifying the moments of “figuring” within live investigative action? Figure – the point at which figuring coalesces into a recognizable and repeatable form. How might the performed ‘figure’ be a system of notation in and of itself ? and other guests, towards the development of Radical Scores of Attention. 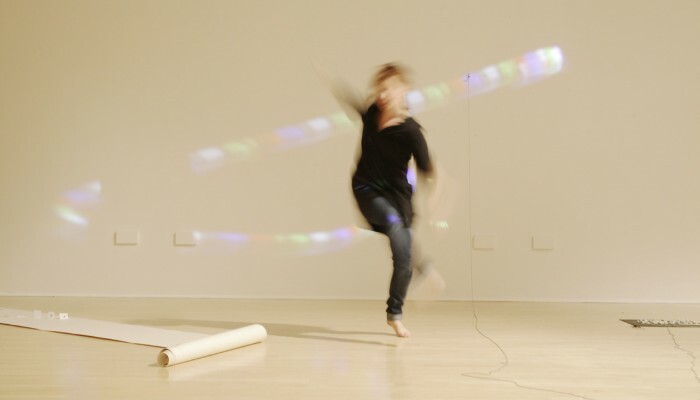 This year’s Summer Lab of the artistic research project Choreo-graphic Figures: Deviations from the Line – by artist-performer Nikolaus Gansterer, choreographer-dancer Mariella Greil and writer-artist Emma Cocker – will take place in collaboration with AILab and ImPulsTanz Festival. Working in dialogue with “the sputniks” Alex Arteaga, Lilia Mestre, Christine de Smedt and special guests, the focus for this Lab is on the choreo-graphic qualities of translational processes, shifts of attention, and modes of language. 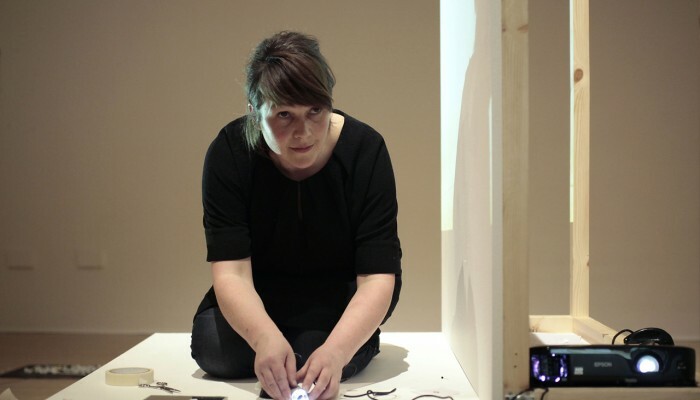 Evolving previous research around notation and radical scores of attention and embodied diagrams, the project focus now turns towards experimental forms of publication, explored through a series of public openings in various formats including lectures, workshops, and performances. Two special intensives are scheduled and opened to a limited number of participants: Intensive I (Shifts of Attention: vigilance, engagement and translational processes) on 23.7. + 24.7.2016 and Intensive II (Modes of Languages: words as material) on 30.7. + 31.7.2016. Participation in both sessions is suggested, but not mandatory! On the 2.8. 2016 the team will premiere the durational performance “Choreo-graphic Figures: Body Diagrams” from 16:00-22:00 at AILab, Vienna, Austria.